Don’t think about how you can ‘badge’ a course, think about the assessment design and what you want to achieve. 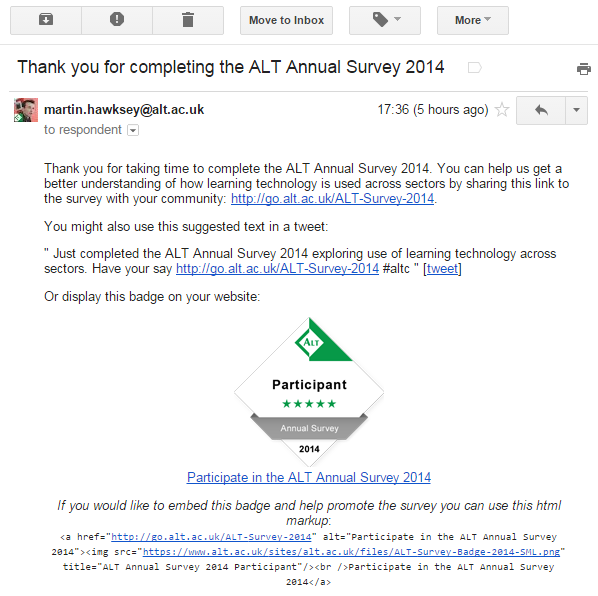 ALT’s Open Course in Technology Enhanced Learning (ocTEL) is entering it’s final week. 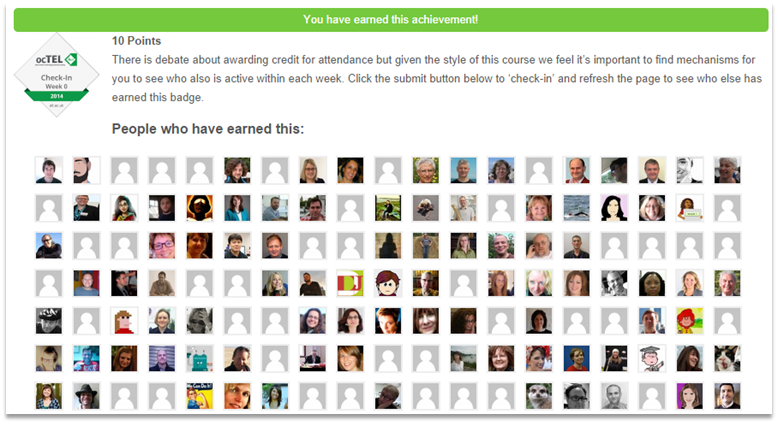 As part of this our effort to award digital badges has been well received by participants. One request we received was to turn our site specific digital badges into Open Badges. To achieve this we’ve developed a add-on to the existing BadgeOS plugin which will turn your WordPress powered site into a Open Badges issuer. A repost from the ocTEL course blog outlining the way we setup the BadgeOS plugin for WordPress to issue badges as part of the course. 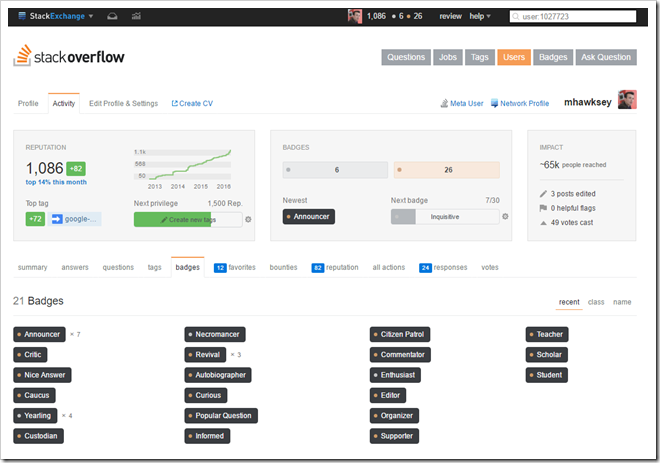 This post follows on from an earlier post, ‘ocTEL and the Open Badges Assertion’, which highlights some progress towards directly issuing Open Badges using BadgeOS … more to follow on this development. 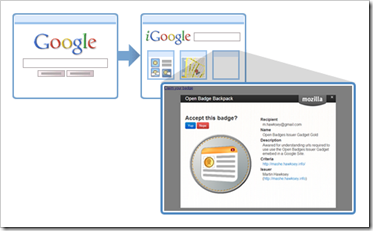 Want to issue badges in Google Sites? That was the challenge I set myself. My solution is the Open Badges Issuer Gadget for Google Sites. This post outlines my solution and even lets you recieve a badge issued via a Google Form.